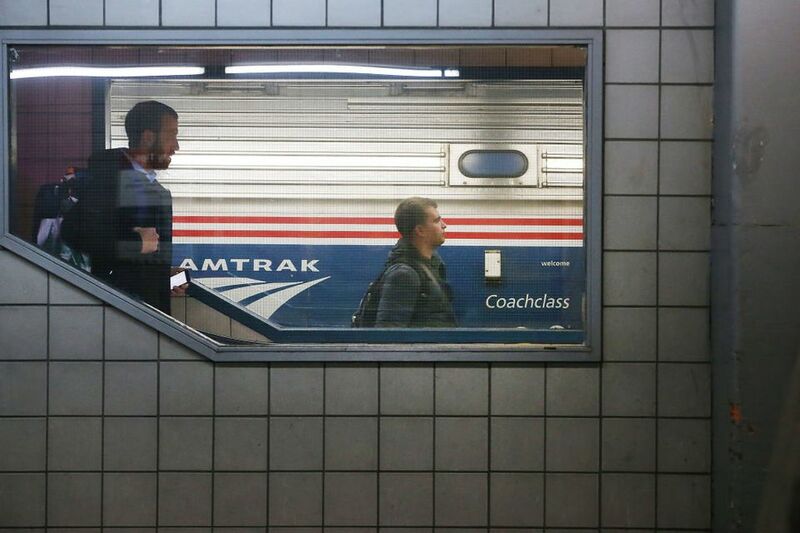 Amtrak has ended discounts for students and AAA members and raised the age requirement for senior discounts to 65. While these discounts are no longer available there are time-limited offers and "flash sales" offered by Amtrak. Currently, there are some regional offers for students ages 13 - 25 with a valid student ID. There are restrictions so the Amtrak website needs to be read carefully. Students traveling in the Midwest may be eligible for a 15 percent discount. The discount is valid for 15 percent off the regular (full) adult rail fare. Amtrak lets you bring up to two carry-on bags for free. According to the Amtrak website, the discount is valid for students traveling on the following trains: Wolverine, Blue Water, Pere Marquette, Illini, Saluki, Illinois Zephyr, Missouri River Runner, Lincoln Service, Carl Sandburg, Hiawatha, Hoosier State, and associated thruways; except not valid on 7000-8999 Thruway series. The discount is automatically applied when you purchase your ticket on the Amtrak site. The Midwest student discount is time limited. Students traveling in New York may be eligible for 15% off the lowest Value or Flexible Fare when you book your travel at least three days in advance. Students age 13 - 25 with a valid student ID enjoy student savings on the Adirondack, Empire Service, Ethan Allen Express and Maple Leaf trains in New York. The New York student discount is time limited. Students ages 13 - 25 may be eligible for a 15 percent savings on select routes in California, including the Pacific Surfliner, Capitol Corridor, and San Joaquin. Destinations include San Diego, Los Angeles, and Santa Barbara; Bakersfield, Fresno, and Stockton; as well as the San Francisco Bay Area, Silicon Valley, and Sacramento, and more. A promotion code is given on the Amtrak website for this discount. The California discount is time limited. To receive the student discount for the Capitol Corridor route in California, students should book their travel through the Capitol Corridor website. Train travel is becoming a popular way to explore more of the United States, especially for the budget conscious. Trains are more comfortable than buses, and you actually get to see the country in ways you can't from a plane. Traveling by train also helps you to gain perspective on the scale of the U.S., especially if you take a cross-country trip. As for the Amtrak cars, the compartments are clean and comfortable, and you'll most likely have access to a power socket and internet connection during your journey. Don't expect the internet to be all that reliable, except in Business Class, but it's often enough to slowly load websites and email as you're on the move. If you are traveling overnight, sleeping compartments on Amtrak trains have a top bunk, which folds up, and a dinette below. The table folds down and the seats form a bed, which is great because you get to sleep level with the window. It's a wonderful way to fall asleep, watching the lights of small towns and farms winking in the darkness and listening to the rhythm of the rails. It also means you don't have to pay for a hotel stay, saving whatever you would have spent on accommodations that night. Amtrak is a relatively safe method of transport, so you don't need to take too many precautions for your trip. As long as you use common sense and keep an eye on what's going on around you, you'll be totally fine. When you're on the train, it's worth making sure your luggage is within your sight at all times. See if you can place your suitcase in an overhead rack above your head and keep any small bags and electronics by your side. Students often wrap the strap of a backpack around their foot while seated. If you're traveling with anything particularly valuable, it might be worth investing in a padlock for your bag to deter any thieves.